I just heard. So terribly sad. He was a nice man. I can't say I didn't see this coming, but it is a shock nevertheless. The Father of TCM. Presumably, all TCM programming for a while will be devoted to his memory. This is tragic news. Rest in peace my friend, you deserve it. May he rest in peace. Thanks for keeping the love alive. Definitely sad. Don't know what else to say about it. Sad Day. Massive amount of respect for Robert. Will be missed. QUESTION for you scheduling afficianados: what ended up being the last movie he ever introduced on TCM? Just logged in to relay my condolences. Somehow, I thought he was just retired and taking it easy. Very sad. Some people never appreciate what they have until they lose it. What a joy it was to meet him. What a gift he gave us in sharing his love and knowledge of classic films. 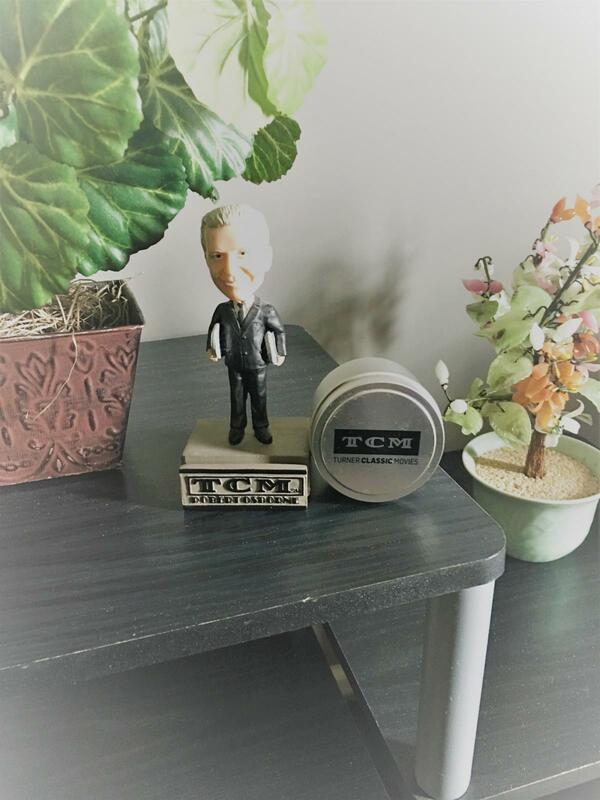 For those of us who were there from the beginning, TCM will never be the same. QUESTION for you scheduling aficionados: what ended up being the last movie he ever introduced on TCM? I'm still reeling from the shock. Rest in peace, Mr. Osborne. You will be deeply missed. 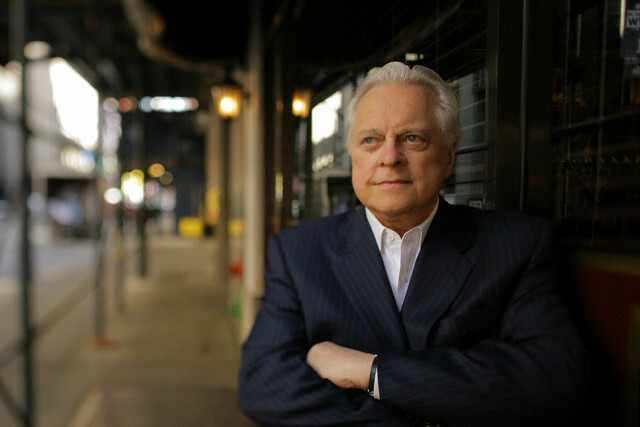 I'm sorry to see that ROBERT OSBORNE has passed on. I wonder what his favorite movie was? Or maybe he didn't have 1 particular favorite but a number of them? Can't remember . . . I fully expect him to rest in peace. So so sad!!! He will be missed greatly, but grateful for his knowledge and passion - and bringing us all together as a community. Heartfelt sympathies to his family and friends, and to everyone at TCM. 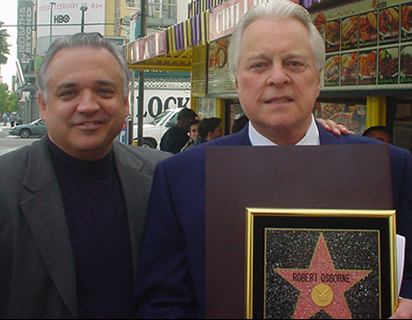 Robert Osborne had a love for the movies, combined with an encyclopedic knowledge of them that, fortunately for fans of TCM and elsewhere, he was able to turn into a career. As a movie host, he was soft spoken and elegant. He had a special touch of class. And beneath it all, such as when you saw his sensitivity to a person's feelings during an interview, you could always feel his decency as a human being. We've all just lost a friend. He was a man who helped to enrich our lives. Thank you, Robert, for years of helping to make the movie going experience even more of a pleasure for us and film fans around the world. We will miss you. His favorite movie may have been THE RAZOR'S EDGE, and his favorite actress was Gene Tierney, one of the film's stars. TCM should definitely show that film very soon. Rest in peace Mr. Osborne. You were the definition of class. I've been a fan of yours since you were on The Movie Channel back in the 1980s. I'll never forget back in the 80s when I turned the channel to TMC and "Séance on a Wet Afternoon" was getting ready to play. I would have turned the channel were it not for your interesting introduction that made me want to see this film about which I knew nothing. This wasn't unexpected, but you Will be missed. Rest In Peace, Mr. Osborne.